Welcome to our school website and thank you for taking the time to find out what our school is all about. 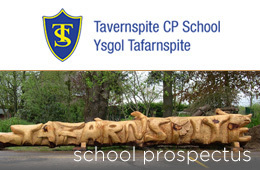 Tavernspite Community Primary School is situated in the small village of Tavernspite in Pembrokeshire, close to the border with Carmarthenshire near Whitland. It serves a large rural catchment area, which includes the communities of Red Roses, Ludchurch, Lampeter Velfrey, Llanddewi Velfrey and Llanteg. The school is located in the centre of the village and enjoys an extremely positive, friendly and welcoming ethos and provides quality education for everyone. There are 220 pupils aged three to eleven years in the school. Pupils are organised into seven single-aged classes for children from four to eleven years. In addition a part and full-time Nursery class forms part of the Early Years Unit. 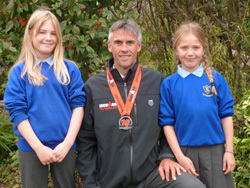 Our school enjoys great success and we are very proud of our enviable reputation both locally and nationally. 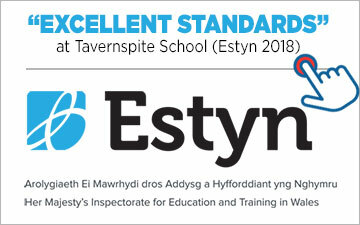 Our most recent Estyn Inspection reported that our school has many outstanding and sector leading practices. As a result we are requested to host numerous learning visits and training courses to share our excellent practice with others within the teaching profession. This is, of course, a great compliment to the school. Our pupils are our greatest pride! We make every effort to teach children to be polite, friendly and helpful. We encourage children to be fit, strong and healthy with an enthusiasm for sport, music, the outdoors and for achieving their potential whatever that may be. We take great pride in providing exciting and varied learning experiences which ensures that all children ‘Be all they can be’ (Our mission Statement). Outdoor learning is very important to our ethos. Estyn reported that, ‘the school’s commitment to using the outdoors to improve pupils’ learning and wellbeing is outstanding.’ We were the first Pembrokeshire Outdoor School and are an accredited Forest School. A number of our staff are trained Forest School leaders and they regularly take groups of children to nearby woodlands to take part in amazing outdoor learning experiences. Our school grounds are used to promote our outdoor and active learning philosophy. Environmental education and sustainability is very important to our school. We have been awarded the highest accolade – The Sustainable Schools Platinum Award and were voted the ‘Eco-School of the Year in Wales’. It is a school of which I am very proud and privileged to be involved with! The care, support and guidance given to pupils are outstanding.